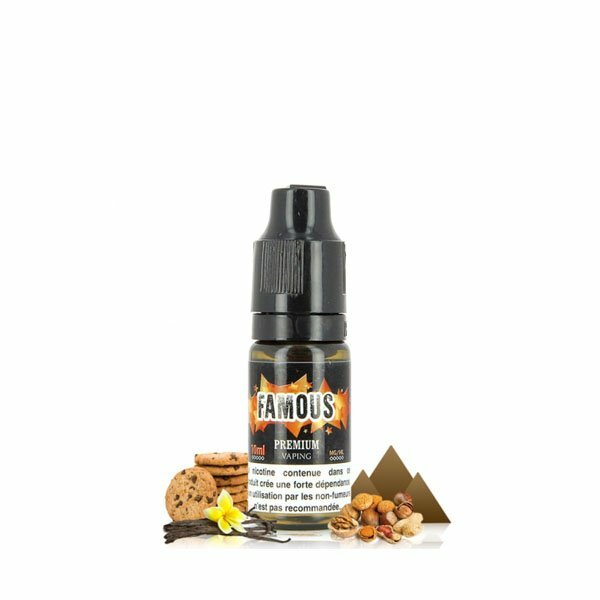 The Famous is a Premium e-liquid made by Eliquid France. On a base of familiar Blond Tobacco, the Famous propose a Vanilla Cookie with notes of Grilled Shelled Fruits. Flavor : The Famous is a Premium e-liquid made by Eliquid France. On a base of familiar Blond Tobacco, the Famous propose a Vanilla Cookie with notes of Grilled Shelled Fruits.